His release, which came immediately after PDP-BJP government took over reigns of the State, created furore across the country. 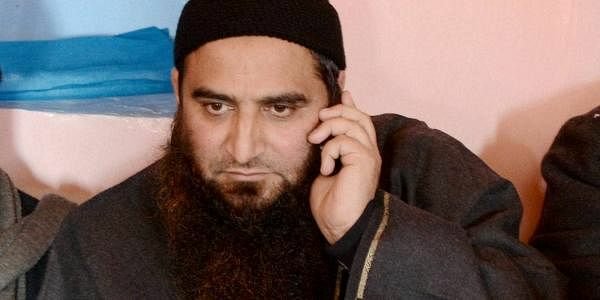 SRINAGAR: Two days after Jammu and Kashmir High Court ordered his release, hardline separatist leader Masarat Alam was on Thursday released from a jail in J&K only to be re-arrested again. “On court orders, Alam was released from Kathua jail in Jammu this evening. However, he was re-arrested by policemen outside the jail. He was taken in a waiting police gypsy,” police sources said. A single bench of Justice Muzaffar Hussain Attar of J&K High Court had on Tuesday quashed Alam’s detention under stringent Public Safety Act (PSA) and ordered his release. The PSA, which was 34th against him, was invoked against him by District Magistrate Baramulla on August 11 this year for meeting four persons in District Jail, Baramulla and allegedly advising them to activate the workers for a visible and prominent role in the ongoing turmoil in the Valley triggered by killing of 21-year-old Hizbul Mujahideen commander Burhan Wani on July 8. “The material produced before the court did not suggest that all those persons, after allegedly meeting Alam, did actually indulge in such activities, which would either adversely impact security of the state or public order,” observed the High Court judge while quashing his detention under PSA. Alam, who is close aide of hardline separatist leader Syed Ali Geelani, is architect of 2010 summer agitation in the Valley during which over 120 people, mostly youth, were killed in security forces firing to quell protests. He was arrested in October 2010 and booked under PSA for spearheading the 2010 agitation. Alam was released after 53-months detention on March 7, 2015. His release, which came immediately after PDP-BJP government took over reigns of the State, created furore across the country. On April 17 last year, 40 days after his release, he was again arrested for chanting pro-Pakistan and pro-Lashkar-e-Toiba slogans and waving Pakistani flags during a rally organized in Srinagar on April 15 to welcome Geelani’s arrival from Delhi. Since 1990, the successive regimes in Jammu and Kashmir have booked Alam 34 times under the stringent PSA, which has been termed as “Lawless law” by Amnesty International and under which a person can be booked for six months without any trial. It now remains to be seen whether he will be booked under another PSA, which will be 35th against him.